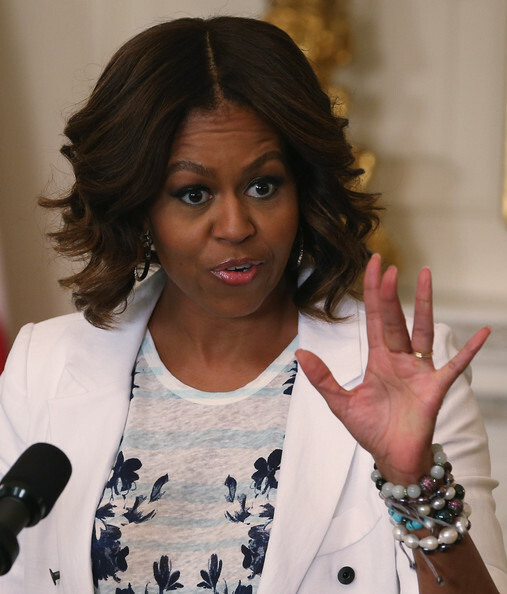 First lady Michelle Obama speaks about drinking more water during an event in the State Dining Room of the White House July 22, 2014 in Washington, DC. First Lady Obama joined Healthier America to announce the "Drink Up" effort to encourage everyone to drink more water to stay healthy. First Lady Michelle Obama styled her hair in wavy tresses with a center part.